Venue: Birmingham City University – Curzon Building, Floor 4.
Who is it for? 14-19 year olds with a passion for film. 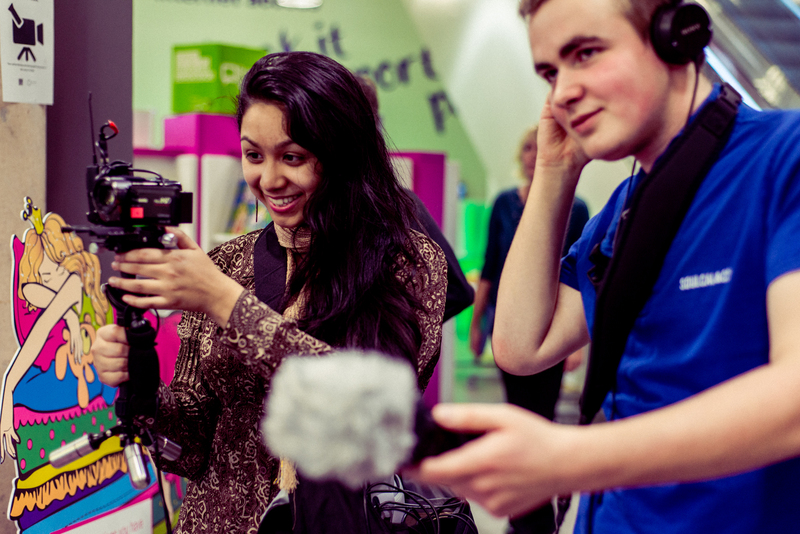 Arts Connect are delighted to present a Film and Television Careers Fair for 14-19 year olds hosted by Birmingham City University. This is a free event. The event will comprise of an Industry Market Place, Introduction to the Industry Session, workshops and 1-1 opportunities providing all attendees a chance to meet with Film and Television professionals and find out how they can access the industry. Attendees will start their time at the fair at either the Market Place or in the key session – An Introduction to the Film and Television Industry led by Into Film. A vital session which outlines job opportunities and roles within the industry. At the Market Place young people can meet Film and Television individuals, companies and educators such as BBC Academy, 4Talent, Royal Television Society, Flatpack, Writers Guild West Midlands, Rural Media, Media Active, Into Film, BFI Academies, and Film Birmingham in addition to a live make up demo led by Emmy winning and Oscar Nominated make-up artist Veronica McAleer. Young people will be able to attend a workshop to help develop their portfolio and promote their work or find out about industry training and education. They will then enjoy one of our hands on workshops: How to make broadcast content on your phones or How to write for screen lead by Doctors and Holby City Writer, Claire Bennett. There are also limited 1-1 sessions available with workshop/industry leaders. The event is open to any young person aged 14-19 years old, they do not need to be in education to attend. School groups are welcome and multiple tickets can be selected at the same time. Please note, if a ticket is booked and no longer needed Arts Connect must be contacted so tickets can be reallocated. For the full schedule and ticketing structure and to book please go here.